All car sales in Victoria require that the car being sold has a valid roadworthy check that is no more than 30 days old at the time of sale. Generally this means that whoever is selling the car will hold off on getting one until they have an interested buyer. There are two downsides to this tactic. The first is that people on the other end of the deal, those buying a car, often are much more likely to proceed with vehicles that already have the RWC completed and noted in the ad, so you may miss out on many potential purchases. The other issue is that perhaps someone will choose to proceed anyway, on the condition that you supply a RWC before the sale. When you go to get the RWC, almost all mechanics will write you a list of everything they need to fix before they’ll sign off on anything, and this can be from hundreds to even thousands of dollars in some instances, which would had influenced your asking price had you known. The time and money it will take you to get everything done might result in the buyer going somewhere else, or being scared off by all the “issues” found in your car. 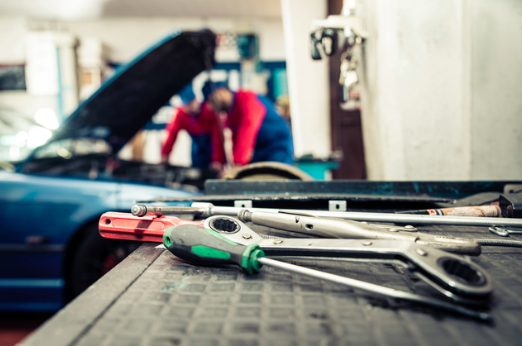 Getting the RWC before posting your ad is generally the way to go as you’ll be able to assure potential buyers that the car is ready for purchase. The obvious con to this method is that you might not sell your car within 30 days, and you’ll have to go pay for the RWC all over again. If you’re fairly certain your car is going to pass, maybe you can put it off, otherwise it’s probably best to get it taken care of. 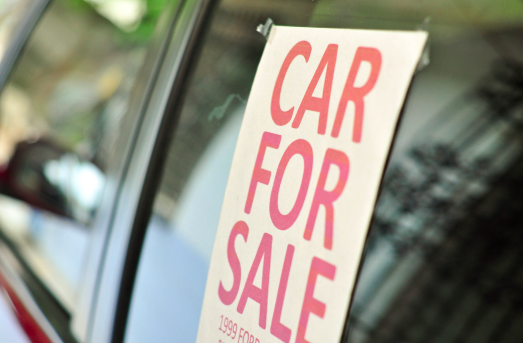 Either way, the roadworthy business tends to stall or ruin many would-be car sales. The great thing about areyouselling.com.au is that we don’t require roadworthy checks at all, so you can skip the hassle and expensive services in no time. If you’ve got Victorian registration and you’re selling your car in Melbourne, transferring registration should be no real issue. If you’re rego is getting close to running out, you may run into the dilemma of whether to keep trying to sell and risk rego expiry, or paying out of your own pocket to renew. The problem with selling an unregistered car is that your buyer won’t be able to simply take in the Transfer of Registration forms to Vicroads. Instead, they will have to pay a non-refundable booking fee to make an in person appointment to set up what is considered a new registration. New registrations incur more fees and are not attractive to most buyers, so you may have a harder time selling the car. You’ll be in a similar situation selling a car in Melbourne that’s registered interstate. All transfers of interstate regos are considered new registrations within Vicroads. In some instances, your potential buyer will also be required to bring the car in for an inspection at Vicroads, also at an additional fee. At areyouselling.com.au, you don’t have to worry about any registration headaches. We’ll sort that bit out for you so you can move on to your next vehicle, or your car-free life. Besides the technicalities that thwart our greatest efforts to sell a car, the whole process itself can add a lot of stress to our lives. 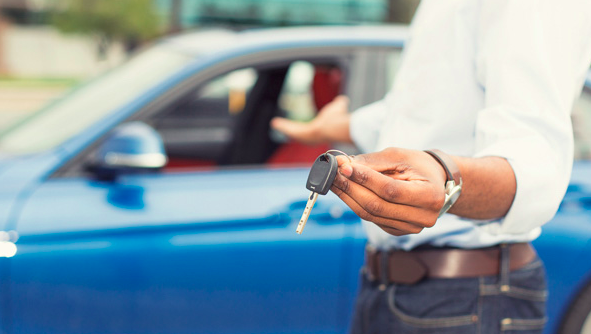 If you’ve never sold a car before, you might imagine that you can simply post an ad, receive an offer, and on your way you go. On the contrary, anyone selling a car in Melbourne privately will likely receive numerous messages, daily, asking various questions about the vehicle and requesting times to inspect and test drive. In your desperation to get rid of the vehicle, you may find that your life begins to revolve around making time for people to come to your home, drive your car, and possibly never get back to you. Sometimes you’ll block out part of your day to meet a potential buyer and they’ll cancel last minute, or just fail to show. A lot of buyers send messages to ten or twenty sellers at a time whether they are really serious about the purchase or not, just to keep their options open. If you’re hell-bent on the private sale method, make sure you’re prepared to dedicate the time and energy, and possibly to wait a long time. Many people who experience the chaos mentioned above while selling their car privately will eventually drastically reduce the asking price to rid themselves of the whole ordeal. If you’re selling your car in Melbourne, our team of professionals with assist you the whole way through. In fact, the whole process can be done in a few easy steps, and you’ll walk away with cash in hand only 24 hours after a price has been agreed upon. If you’re ready to sell your car in Melbourne, skip the hassle and get in touch with our team today.